Entered Boston Training School for Nurses at Massachusetts General Hospital in 1878, finishing in 1880. Superintendent of Boston Training School at Massachusetts General Hospital from 1881-1889. Director of nursing service and school of nursing at Presbyterian Hospital (New York) from to 1892-1921. During Spanish American War she urged the Surgeon General to hire trained nurses for the military. She was appointed to organize nurses and was sent to Camp Thomas in Chickamauga Georgia. Instrumental in establishing an Army Nurse Corps and later to secure officer rank for military nurses. Active in recruiting nurses for military work through the Red Cross Nursing Service. Helped design uniform for army nurses. During World War I served as chief of Presbyterian's hospital unit and visited hospitals at the military front in Europe. France awarded Miss Maxwell the Public Health Medal of Honor (Medaille de l'Hygiene Publique) for her work. Co authored with Amy E. Pope Practical Nursing: A textbook for nurses. Awarded honorary master of arts degree from Columbia University. Charter member of Society of Superintendents of Training Schools. 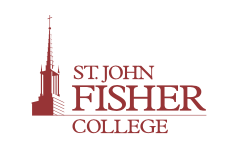 Hospital Economics Course at Teachers College. Downer, J.L.B (1988). 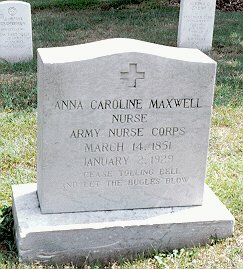 Anna Caroline Maxwell. In: American nursing: A biographical dictionary. V.L. Bullough, O.M., Church, & A.P. Stein, (Eds.). New York: Garland. Higgins, L.P. (1988). Anna C. Maxwell. In M. Kaufman, M. (Ed). Dictionary of American Nursing Biography. Westport, CT: Greenwood.